A long time ago~ there was a beautiful land made up of three nations: Fuji~ Izumo~ and Hyuga. This land was called Mizuho. The people of Mizuho disliked conflict~ honored their ancestral spirits~ and lived in harmony with nature. However~ over time~ they began cultivating crops~ forging and using metal~ fighting wars~ destroying nature~ and neglecting to honor their ancestral spirits. In the meantime~ various locations in Mizuho suffered from natural disasters like flooding~ earthquakes~ and volcanic eruptions. In order to stop a destructive eruption~ the Queen of Mizuho~ Tsukuyomi~ sacrificed her beloved daughter Sakuya to the mountain~ confined her other daughter Kaguya within a bamboo seal in case of future disasters~ and then disappeared. Thirteen years later~ Princess Kaguya has grown into a beautiful woman and her childhood friend~ Kintaro~ saves her during a riot. 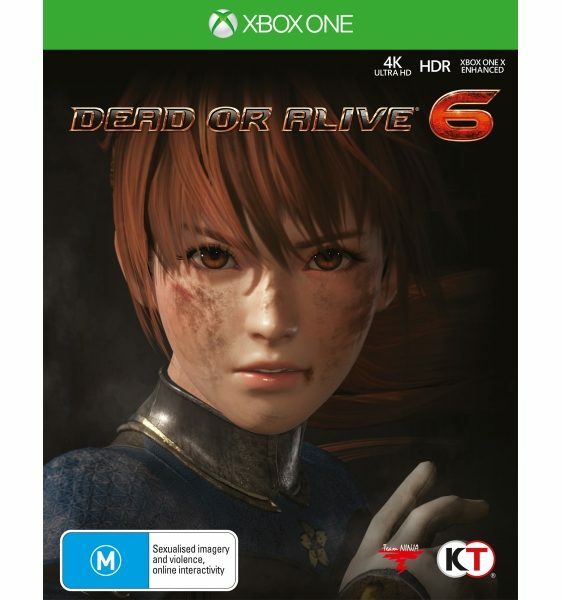 She rises against her “fate to be a sacrifice~” and in order to follow her own path~ they both escape from Fuji and journey across Mizuho to discover the truth behind Tsukuyomi's de­cision. A Tale Steeped in Japanese Tradition – Step into Japan as you have never before seen it~ and discover the wonder that has captivated orators~ storytellers~ and generations of people. Discover their stories~ and meet the Myriad gods. 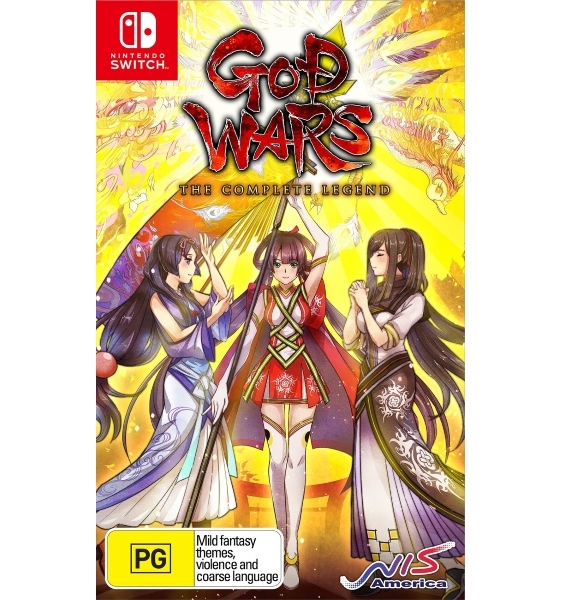 Visuals from Another Age – Inspired by traditional Japanese ink painting and wood carving art~ the artwork of GOD WARS will transport players to an age filled with mythology and wonder. 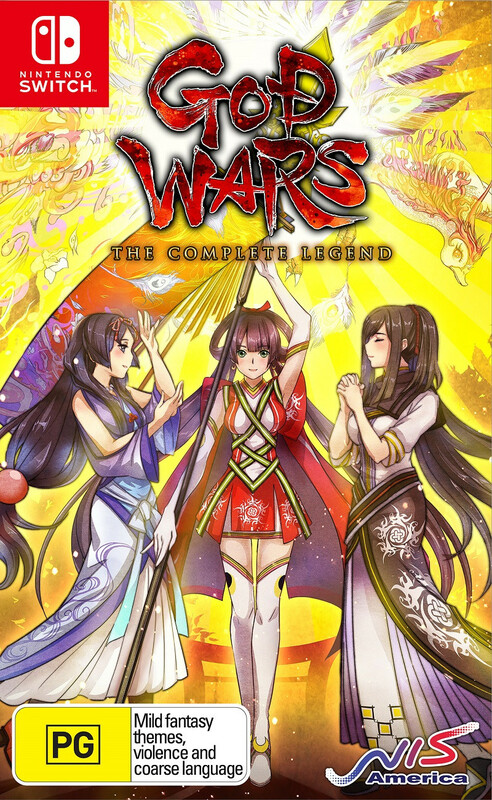 The Complete Legend – Experience over 100 hours of new content in the Legend of Yomi~ as well as the complete story from GOD WARS Future Past~ including all of its DLC~ and updates to the game’s mechanics to perfect your strategy! In the meantime~ various locations in Mizuho suffered from natural disasters like flooding~ earthquakes~ and volcanic eruptions. In order to stop a destructive eruption~ the Queen of Mizuho~ Tsukuyomi~ sacrificed her beloved daughter Sakuya to the mountain~ confined her other daughter Kaguya within a bamboo seal in case of future disasters~ and then disappeared. Thirteen years later~ Princess Kaguya has grown into a beautiful woman and her childhood friend~ Kintaro~ saves her during a riot. She rises against her “fate to be a sacrifice~” and in order to follow her own path~ they both escape from Fuji and journey across Mizuho to discover the truth behind Tsukuyomi’s de­cision.